What are the best Facebook Messenger bots? Modern has been working in the bot market since day one. With this extensive experience, the Modern team is well versed in knowing what makes bots work and when human interaction would be a better solution. There are those who believe bots will ultimately replace the human experience. The Modern team knows that bots will operate as a complementary function to live support, with the aim of providing additional assistance and immediate responses. Using bots opens up a world of opportunity and context, and soon enough, customers should come to expect them as part of their support experiences. According to Venturebeat.com, over thirty-four thousand chatbots have already been developed. This means the changes in online communication is already well underway and if a business is going to successfully integrate bots into the support funnel, knowing the various bot options is pivotal! What do successful bots look like? Successful bots provide a single unit of work and perform one function really really well. 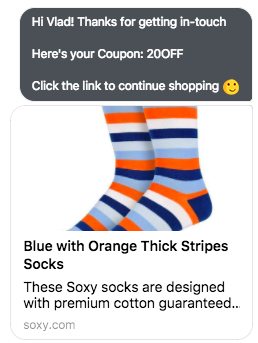 Coupon: Bots send users coupons for current promotions. 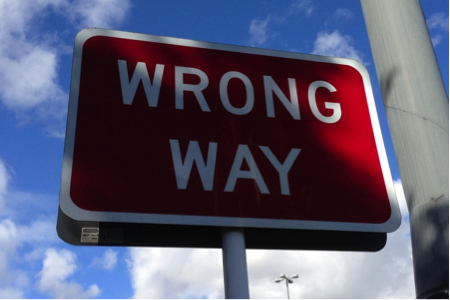 Instead of e-mail opt-ins, think Messenger opt-ins. Send customers a coupon directly inside Messenger. Create a simple button that will notify your customer when a special is running. this canbe a great bot tactic similar to what flight sites do! Subscription: Bots assist users with a subscription process. Bots are able to suggest a subscription service to the customer, outlining the content included and value within it. This is a powerful tool, especially for magazines and other subscription-based businesses. Once a customer becomes a subscriber, the bot can issue an alert when new content is published. Brands are able to segment their audiences in order to collate and send out relevant content in the form of a daily digest. Appointment Booking: Bots facilitate appointment bookings. Customers are able to set up appointments directly from the bot and receive confirmation alerts once the appointment has been secured. 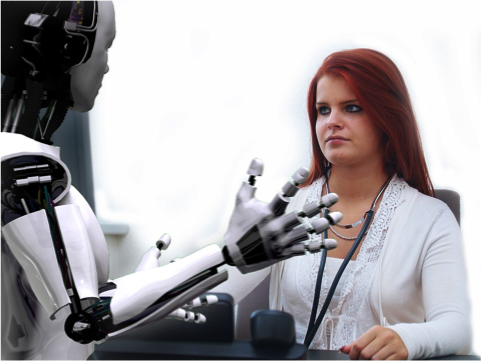 This bot type is especially useful in the medical field. Reminders sent so appointments are not forgotten. Re-scheduling can possibly also made easy with automated, open-date functionalities. Cheat-Sheet or Content: Bots send a cheat-sheet or e-book. 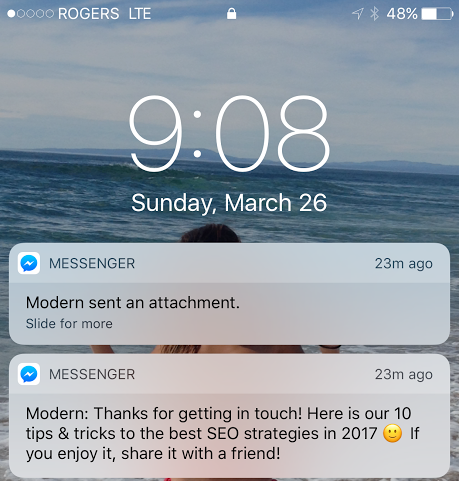 Instead of using e-mail opt-ins in exchange for content, Publishers are now able to send valuable content (small ebook, infographic, or case study) directly into Messenger! This eliminates all kinds of spam and is way more accurate. Auto-Response: Bots that responds automatically to new or registered users. This is a great template to initialize the conversation with the customer and assess their needs. This bot is ideal for quick queries or to just let the customer know that they've received the message. Once the initial introduction has been completed, we recommend a human interaction to guide the customer or to respond to more complex queries or questions. 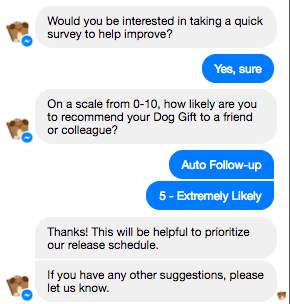 Auto Follow-Up: Bots that follow-up with a customer. The bot is able to offer a discount for the next purchase or simply thank them for interacting with the brand. Feedback: Bots that encourage feedback. Similar to market research, bots send automated surveys to customers following an encounter to gauge their levels of satisfaction with the product or service. Direct customer feedback enables businesses to learn how they can improve and what changes can be made. Bots encourage incentivized feedback using coupons or exclusive offers. Although bots will never replace humans, there is an advantage to humanizing the bot, making the engagement more engaging and interactive. Brands do this by creating a bot mascot. This enhances the user's experience and increases brand loyalty. Think about the Geico gecko or Pennycat, Poncho as examples. As an extension of the bot humanizing effort, using Emojis can go a long way to add personality to a bot. Research indicates that 70% of women use emojis frequently while their male counterparts come in at a close 60%. It is clearly the chosen language-aid of the generation. 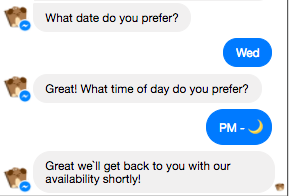 While Messenger bots are the ultimate primer before a live human interaction takes place, realistically, there is a limit to what a bot can accomplish.The bot can aid the customer until a representative is able to step in and continue building the relationship because ultimately, it is impossible to replace the human touch. Although they may seem extremely intelligent, a bot is a digital interface. They are ill-equipped for human intricacies and emotions. A customer may ask an unusual question the bot isn't programmed to answer or a system glitch may occur leaving both bot and customer at a loose end. Ensuring live customer representatives are on hand to step in when the bot reaches its limit ensures the customer is always well taken care of. The opportunity to offer connection and relatability points should never be underestimated. It encourages trust and allows for a more natural flow of conversation. 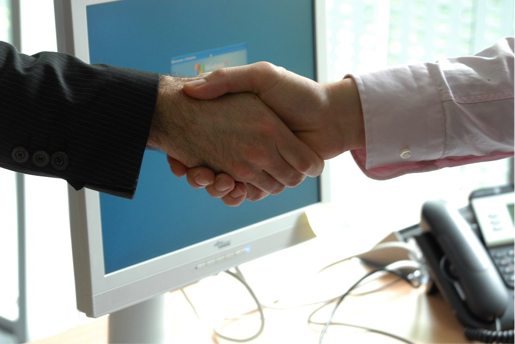 Human interaction opens the door for lasting customer relationships. The customer, in turn, feels they are getting to know the brand team and it fosters a feeling of belonging and value. Communication leads to connection, connection leads to emotion and emotion leads to action. Engagement is key! The more a customer engages with a brand, the more opportunity they have to learn about the business and vice versa. Every interaction is an opportunity for a positive, relationship-building exercise. It can be frustrating talking to a bot with no sight of human interaction on the horizon. Bots are designed to facilitate a sale, leading the customer through the course but they should not be expected to complete the entire process end-to-end. A bot cannot pick up voice intonations or irregular phrasing meaning that a misunderstanding is bound to occur and with no human involvement, this is likely to result in a lost sale. Having no human-to-human interaction gives the impression that the brand does not care enough to engage with customers directly. This can do a lot to damage brand perception. A user will feel far more at ease knowing that a knowledgeable real person is on hand to guide them as opposed to a bot interface with automated scripts that is unable to fully address their concerns. Taking all the above into consideration, Modern has simplified the bot setup procedure. Remember, the best part of Messenger are these awesome notifications that come straight to your user's phones! Understanding the necessity for the hybrid model, Modern are able to offer businesses the best of both worlds: Automated bot assistance coupled with the expertise, familiarity, and emotion of a real human being when required. This ensures customers feel at ease and well taken care of. As bots become increasingly more indispensable for businesses, we can definitely expect to see a shift in the current models. Businesses will start to rely more and more on the mix of human and automation to bring a complete and unparalleled level of customer service experience.